Cubetto is designed for children ages 3 and up to help them learn the basics of computer programming, along with other STEAM skills too. Unlike other similar coding toys it doesn’t use a screen, but comes with a set of instruction blocks that equate to a coding language you can actually touch. The Cubetto Playset is the easiest way for children to start learning computer programming, and it consists of a friendly wooden robot named Cubetto, a physical programming console, a set of expandable coding blocks, a collection of beautifully illustrated maps and an activity book. By placing the blocks in different patterns on the control panel, children create sequences of instructions that program the robot’s movement. In the process, they develop computational thinking skills that help them understand the basic principles of coding - all of this, in a very age appropriate way that respects a child’s natural way of learning. 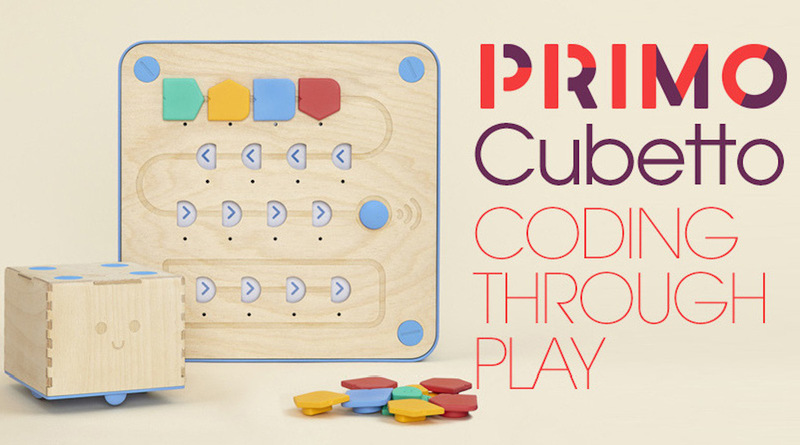 Teach coding with Cubetto - Learning to code in early years learning is fundamental. Cubetto makes it easy for both students and educators with an instant solution thats fun to play and easy to integrate. 150+ hours of lesson plans and activities - Cubetto is a cross curricular early learning resource that helps young learners develop coding skills, problem solving, communication, and creativity through adventure and play. 20,000+ educators and parents in 90+ countries use Cubetto to introduce coding in Montessori Kindergartens, Primary Schools, Early learning centres, Homeschooling, SEN classrooms, Afterschool programs, Public Libraries and Community Centres.